Assistive technology products designed to aid and improve quality of life. Nurse call, fire alarms and staff attack systems from leading worldwide manufacturers. Technical information and guides covering the products and systems we supply. The Touch Series is a UK manufactured and designed system, using hospital grade materials that house Intercall technical excellence. 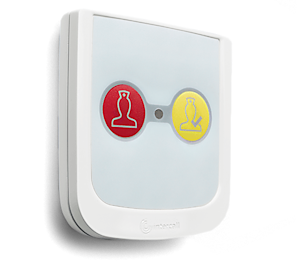 Stylish and simple to install, the Touch Series is supported by a sophisticated data-logging system giving access to care and performance information. With industry standard connectivity via TCP/IP and optional Radio Frequency Identification technology (RFID), the Touch Series is a modern nurse call system offering easy communication and management of patient care. The Touch Series is a UK manufactured and designed care system, using hospital grade materials that house Intercall technical excellence. The Touch Series products have been designed using engaging soft forms, balancing technology with human engagement. Stylish and simple to install, with industry standard connectivity via TCP/IP, the Touch Series is a modern nurse call system offering easy communication and management of patient care. Radio Frequency Identification technology is used to identify staff, record actions and control user access, providing security and peace of mind to both staff and patients. Intercall has developed a data log system that automatically records all calls, alerts and responses. It can alert staff to call activity, enable care managers to make informed decisions, and demonstrate accountability to patients and their families. 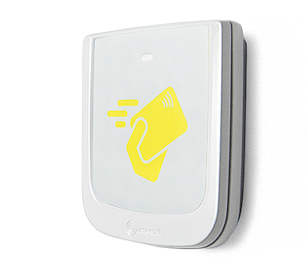 With industry standard connectivity via TCP/IP and optional Radio Frequency Identification technology (RFID), communication and user experience are at the heart of the Touch Series.